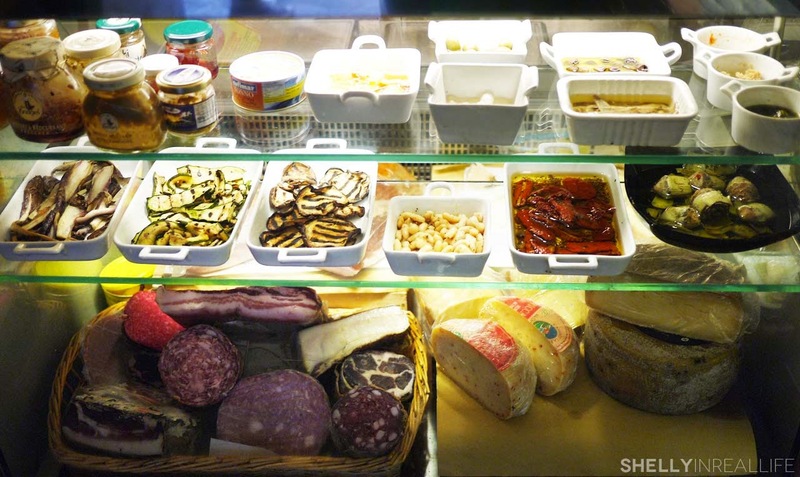 This is the 8th post in my Best Bites of Italy series, a round-up of the best eats during my 2 week trip through Rome, Venice, Florence and Cinque Terre. 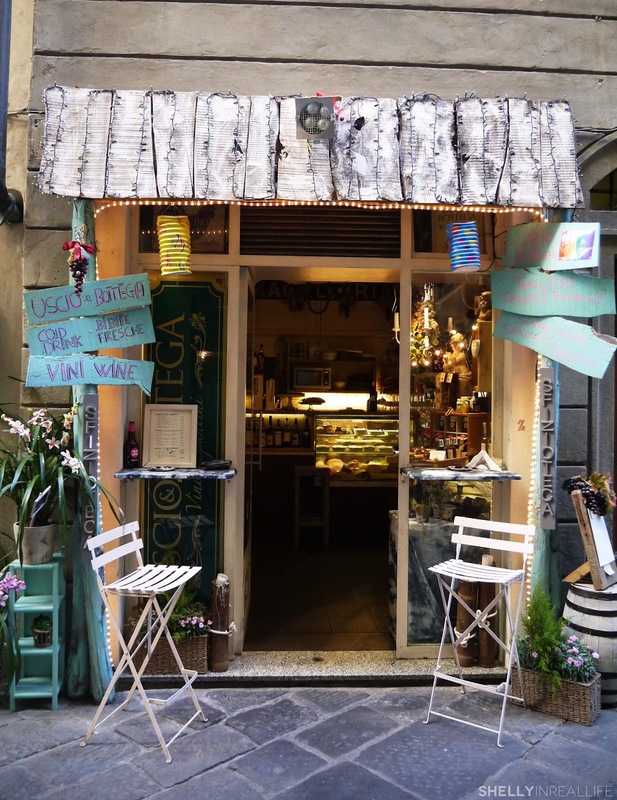 Previous posts include... Rome: highlighting Renato e Luisa, La Gelateria del Teatro, Fried Artichokes at Giggetto, La Pizza del Teatro in Rome and Osteria Le Mani in Pasta (truffle heaven! 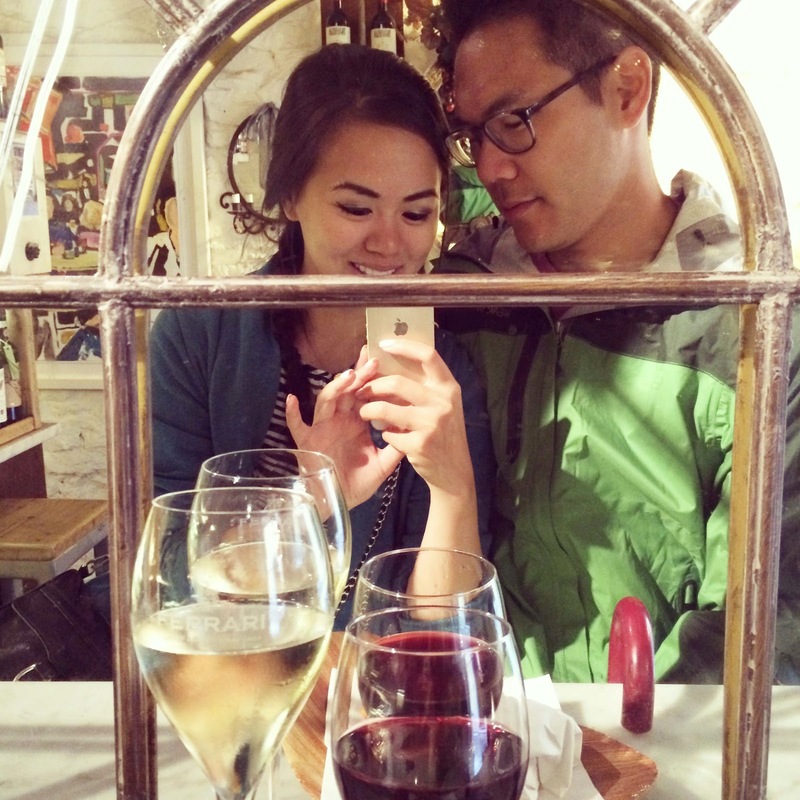 ); and Venice: Osteria Alla Frasca and Cip Ciap Pizza. My college roommate studied abroad in Florence and fell in love with the city for it was the heart of where the European Renaissance began. The best arts, beautiful statues and museums are centered in Florence, Italy. For a long time, I have only dreamed about being in the city that she holds so dearly. So how did I fall in love with Florence? It was here, at Uscio e Bottega. The next best bite that J and I had on our trip is found in Florence. I was excited to find this lovely AirBnB apartment just steps away from the beautiful Duomo, definitely one of the best sites of the city. Our hostess Daniella was the sweetest person ever. She had the best bottle of Chianti wine, delicious breakfast coffee cake and her curated list of restaurant recommendations waiting for us upon arrival. A woman after my own heart. It was on this list we found Uscio e Bottega, "a great neighborhood joint to grab a quick bite", she wrote. Since it was so close to the apartment (and therefore the Duomo), we decided to stop by for a snack before our pasta making class in Florence. If we didn't know what we were looking for, we would have probably never wandered into this cute little shop that was tucked into an alleyway. Hell, even with Google Maps on my phone we had to wander into several alleyways before we found it. But boy, am I sooo glad we did. 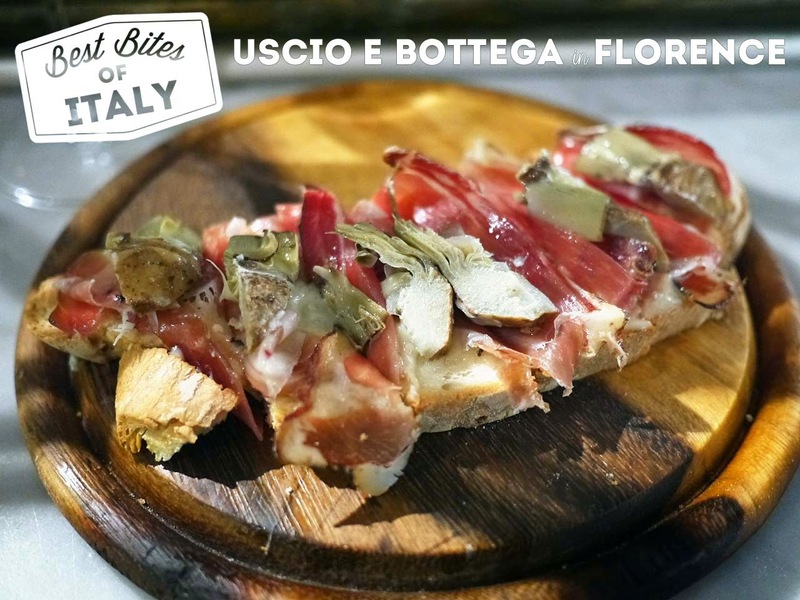 Uscio e Bottega is living proof that you don't need much to make delicious food. 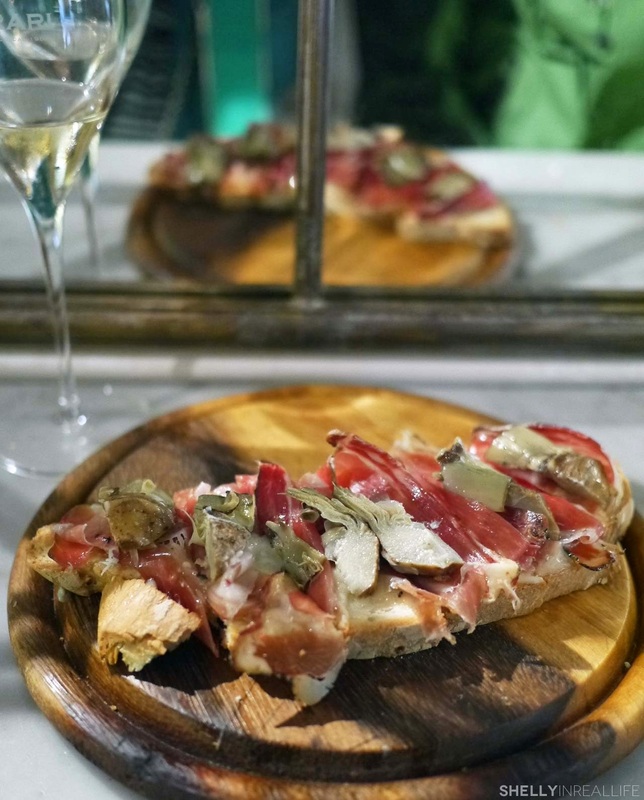 The kitchen here couldn't have been any bigger than my Manhattan apartment, with a small display of the ingredients that are used in these bites: cheese, anchovies, cured meats, the most beautiful artichokes, roasted veggies and some spreads & honey. 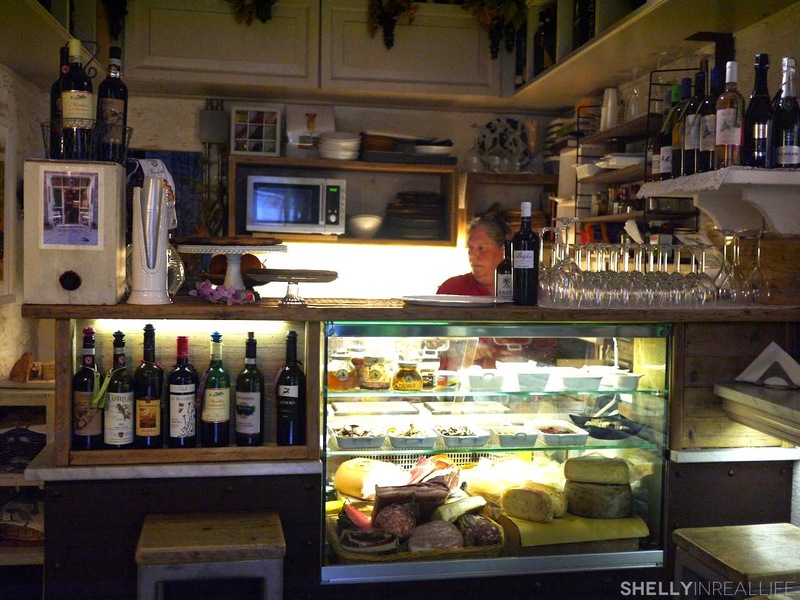 This small bottega had two counters for people to grab a bite with the owner, Constanza, who manned the small kitchen with her toaster oven. Walking in, we saw a group of locals hanging outside with a glass of wine and cheese plate, just having a smoke and enjoying their morning. The menu was simple too, made up of only of 6 sandwiches, 7 crostonis (larger pieces of toasted bread) and 4 cheese & meat boards. Everything looked delicious, but we decided on a sandwich and 2 crostonis to try. 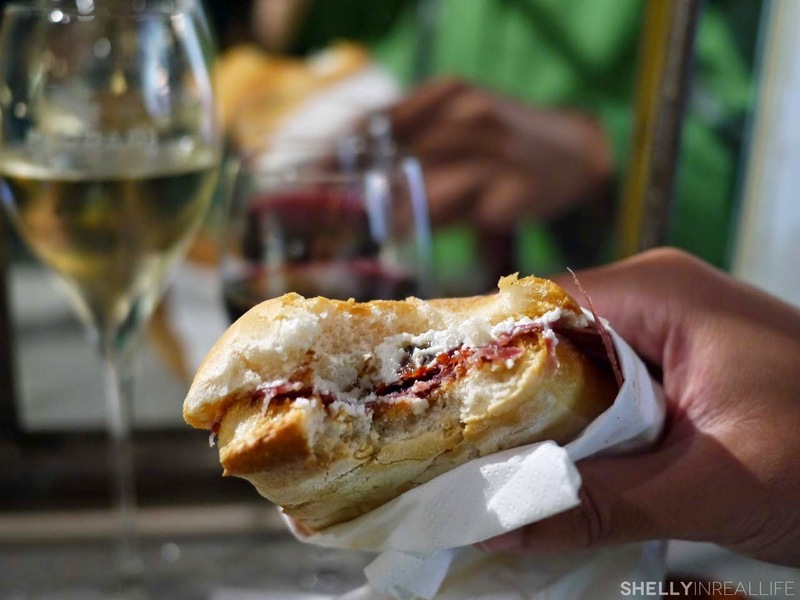 First, we got the sheep ricotta, tuscan salami and dried tomato sandwich, a sandwich that I found a tad difficult to bite into. A simple preparation with great ingredients, but personally it wasn't for me. I was also very impressed that the shopowner cuts the meat to order, everything is fresh fresh fresh. J killed most of this one. As we were nibbling away on the sandwich, we started smelling our next bites. The pieces of crostonis were being slowly heated in the toaster oven and I could smell the melting cheese. Our next bite was made with pecorino cheese, finocchiona, a spicy sauce with a bit of basil on top. 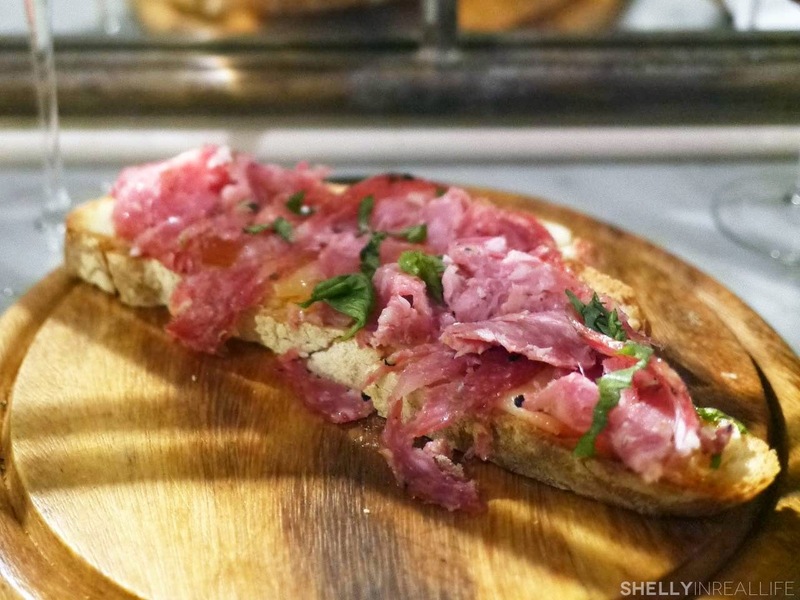 I loved that this was toasted because it really helped combine the meat and cheese together. On this thinner piece of bread, the ingredients really shined and I was anticipating our final bite. This crostoni with gorgonzola cheese, speck and artichokes is what made me truly fall in love with Florence. With four simple ingredients here, there was no place for anything but the best ingredients to hide. AND she made this in a toaster oven/panini grill? As J and I slowly enjoyed every bite of this crostoni, we were wondering where this had been all our lives. Was this too hard to replicate? Probably not. Yet, it's unlike any other bites I've ever had before. "I can eat this every day." - And so we did for a second time. Then tried to for a third. We would have had it a third time had it not been closed at 11 in the morning. Seriously, on our last day in Florence, we walked to Uscio e Bottega with our huge backpacks, ready to dash for the train right we grabbed another one of these lovely crostonis. It was not in our cards that day. Now I will have to only dream about the next time I can visit Florence so that we can experience what a brie cheese, dried apricots, honey and bitter chocolate crostoni tastes like. UPDATE: Looks like this place is closed according to Google Maps :( Not 100% sure since it's not confirmed elsewhere, but worth a quick look!